Ethiopia is a secure, stable country in the Horn of Africa, says the country’s Ambassador to the EU, Teshome Toga. However, he admits “gaps” in governance have fuelled year-long protests that have left hundreds dead. 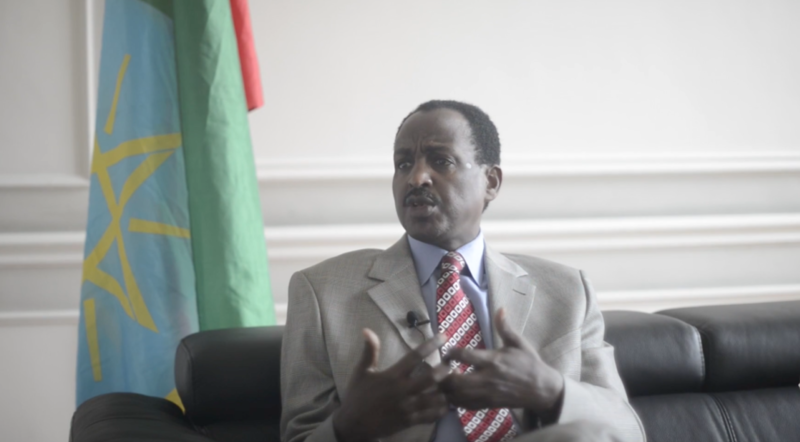 euractiv.com’s development correspondent Matthew Tempest spoke to the Ethiopian Ambassador to the EU, Teshome Toga, about the death toll, the causes of the unrest – and the government’s controversial response. 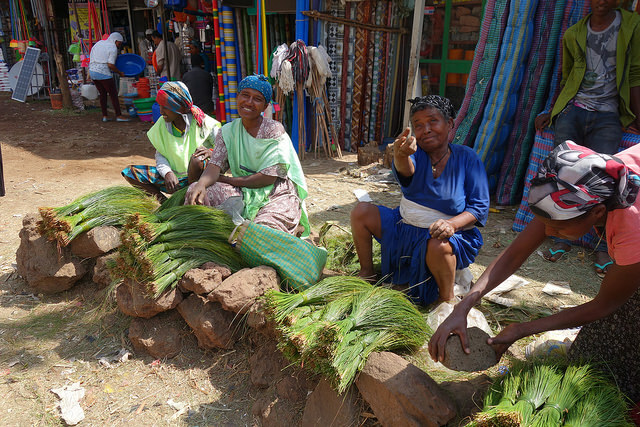 Having been to Ethiopia, I can see a lot of the positives of what is going on in the country. But it seems that since last November, there’s been a large death toll of protesters that has started to worry people in the development community and in the EU itself, so I wanted to start by asking for the government figure of how many people have died in the past 12 months. Firstly, thank you for coming, and secondly, thank you for your interest in Ethiopia. Regarding the question, AU (African Union), EU institutions, member states, are concerned on this question on Ethiopia – we are concerned. Regarding the unrest in the last few years, we need to put it in some perspective. The first is that in the last 15 years, Ethiopia has made remarkable progress in the economy, infrastructure, social progress, that’s the bigger picture. That has benefited farmers, people in urban centres, the private sector. And these policies have delivered. Those who benefited are now demanding more infrastructure, more energy. In the last 15 years, we have reduced poverty by 50% – meeting every one of our MDGs (Millennium Development Goals). When we started on these goals 15 years ago, the poverty level was 44%. Now it is 22%. Even so, that still leaves us with around 22m people in poverty, and this is because of huge demographic [challenges] we have in the country. If you look at our achievement in education, we have also expanded access, facilities and infrastructure. We met our MDGs, and we tried to link education with industry and manufacturing, but today we have significant [numbers] of unemployed graduates, particularly because of the demography in the Oromia and Amhara regions. That is one perspective I want to put in the right setting. Secondly, as the economy expanded, the question of economic governance becomes a huge issue. And we have a problem of course creating efficient and good governance. People are not satisfied with the level of delivery. As much as we have delivered, there are people have not benefited enough from our programme – the youths. So there have been grievances. And the grievances from unemployment, and more demands from the public – that, and other issues, led to the problems we had last November. Of course, you remember the Addis Ababa masterplan issue – which was one of the triggering factors for the demonstrations that took place in the Oromia area. What happened after that was we tried to engage the public in the two regions. The issue of identity has been responded to by the pertinent regional authority, and the issue of the masterplan – after seeing the discontent of the Oromia people, we did put off. Related to this was the issue of land. Land has been taken from the private sector – always with compensation, of course – for areas for investment, in the regions of Oromia and Amhara. Farmers have been complaining they have not been paid sufficient compensation. Or after getting compensation, they were not getting support to make their next move or next opportunity. So we have seen gaps there. All this led to the unrest we have seen in both regions. Youth unemployment and good governance – but those are an issue everywhere, not just those two states. But later on, a Human Rights Commission investigated, and it came up with a finding, that was public and presented to the house of representatives in the federal parliament, in the first report, that found yes, there was loss of life, destruction of property and also loss of life of law enforcement agents. Coming back to the recent unrest in the two regions, this time in Amhara, it was not identity or employment, there was a question of particular development in Gondar, so we witnessed unrest in that part. But later, as other cities joined in the demonstration, most of it, frankly, (was) illegal, because nobody took responsibility for who organised it. 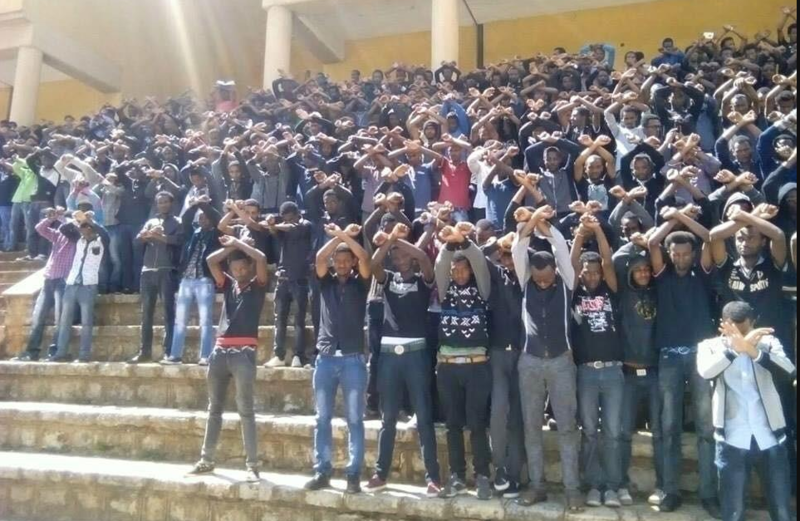 It was organised on Facebook, most of it was violent, and that’s totally illegal in the context of Ethiopian law. Because demonstrations need permission, a time, and a place – and this was not the case. Secondly, there were anti-peace elements who took advantage of the demonstrations, and it was not peaceful anymore. That can clearly be seen. Now, how many people have died? Even if it is a loss of one person, it is too much. We do not want any loss of life, whether it is a civilian or law enforcement agency. About the numbers, I cannot tell you exactly. The second part of the unrest has not been investigated. When it transpires who did what, and who is responsible, that has to be investigated by the Ethiopian Human Rights Commission. It has a constitutional responsibility to undertake that. We are waiting for that. Now, are our partners worried? Yes, they are worried. 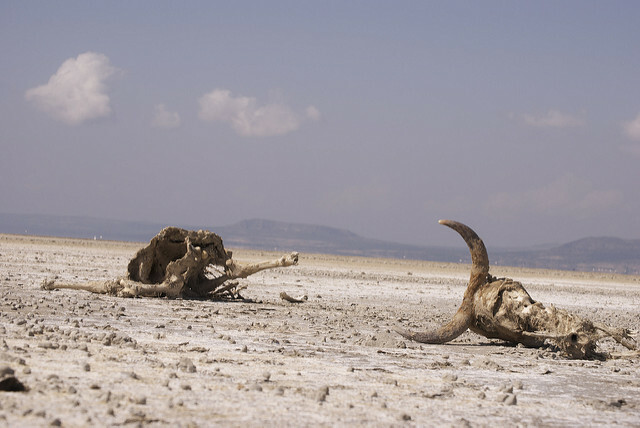 Ethiopia’s stability is extremely important – first and foremost for us in Ethiopia, and secondly for the entire Horn of Africa region in a geopolitical context. Everyone looks at Ethiopia as an anchor of peace and stability. So this destabilisation of Ethiopia is not in the interests of anyone, the EU or anyone else, that is why they are expressing their concern. Secondly, there is concern by EU member states whether the government has overreacted, or whether there has been any excess use of force. I’ve been talking to many of them, I clearly indicated, let’s give the Human Rights Commission an opportunity to investigate. Prejudgement will make the investigation complicated. We share their concern and take it very seriously. When it comes to human rights issues, when it comes to democracy, we started not because we were pushed, but because we believe it is the right thing to do for Ethiopia. We started democratising Ethiopia because the people of Ethiopia deserve it. And we have done much work – we have a very progressive constitution that protects all sort of rights – not only individual, but all groups. This is a country of identity, diversity, culture, languages, regions. But look at the context in which we are democratising Ethiopia. We inherited a situation with no democracy at all. We are proud of our millennia-long civilisation, but when it comes to democracy, there was nothing. That’s why we are concentrating on the fundamentals – a strong constitution, a strong parliament, institutions, and the media. That work is not an easy one. But we cannot put police next to every citizen. So there should be a citizenry that respects the rights of others, too. We addressing the right to education, the right to food, the right to clean water, so it’s not just a question of political rights, but rights in their entirety and comprehensively. On democracy, there was the Italian occupation, followed by Emperor Haile Selassie, and the Marxist regime in the 1970s and ’80s, so obviously it is a process. On the economic front, I’ve seen the new electric railway, the new metro system in Addis Ababa, plans for a new airport, huge infrastructure projects like the new dam in the west of the country. But on the political front, if people are still willing to protest when there have been deaths, when they know they are risking their lives, that would suggest there is a failure on the politics. They don’t feel their voice is being heard in the capital, and by the government. In terms of politics and people being heard, we have parliaments starting at the district level , then at regional level. Elected representatives there do hear the people, and the demands of the public. So it’s not only at federal level that the voices of the people are heard. Whether those institutions are responding or not, that’s a different issue. I confess I cannot say whether all institutions have responded effectively. That’s why we are trying to address issues relating to capacity, issues relating to delivery, and to efficiency, of the grievances that have been presented by the public. Now coming to the protests – that is one way of expressing a grievance, so long as it is peaceful, so long as permission is given, yes it’s one element, and it’s a right guaranteed in our constitution. But I can’t sit in Brussels and tell you each grievance should have been addressed this way, or that way. You said to wait for Ethiopia’s own Human Rights Commission to report. The figure that Amnesty International and Human Rights Watch have cited is that 400-500 people died in the last 12 months. Is that broadly correct? The Commission investigated the first round of unrest and their figure is about 177 dead. The second part is not investigated. I don’t want to really fight over the figures that Human Rights Watch has reported recently. But the figures from the first round of unrest in the report is actually greater than what the opposition was reporting, so you can see the Human Rights Commission presented its findings in a very transparent manner. As the ambassador, I can only comment on the information provided by the [human rights] Commission. And I’m asking you, ‘give us time’. 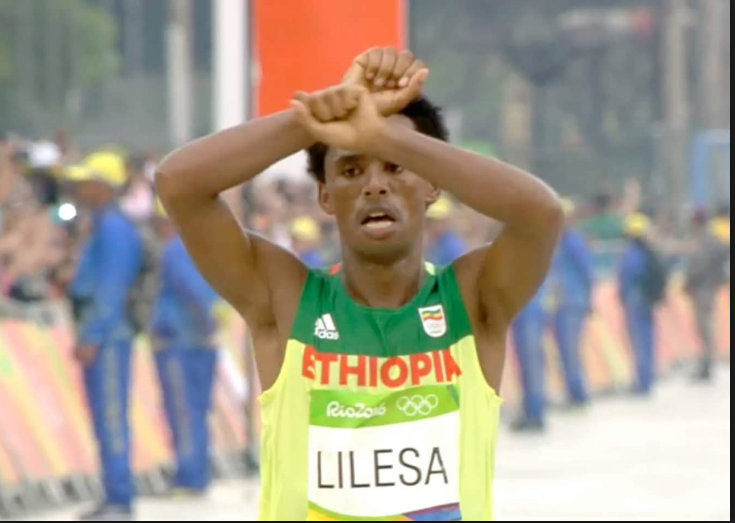 This issue for a lot of people will be unfamiliar, but this summer we saw at the Olympics the Ethiopian runner Feyisa Lilesa make a symbol of solidarity with the protests – now, would he be safe going back to Ethiopia? I can tell you to convince him to go to Ethiopia. His family live in Ethiopia. The government, despite what others might think, cannot threaten anybody’s life. But as we have said, he is entitled to his views and actions. But I can assure you that if he wishes to come back to Ethiopia, he will be safe. Nothing will happen to him because he expresses or showed his disapproval of the government. But we will not take any action against him because he has done that. I am so tried of lie of Ethiopian government officials sin when they started respecting human rights? for the last 25 years they have been killing,and torturing anyone who stands against their regime and interestingly they act like they advocate for human rights and democracy on world stage. For EU this is decision making time wether EU stands for human rights and democracy or boost the dictatorial regime of Ethiopia.